Double glazing salesmen were once an institution in and of themselves. But now, double glazing is commonplace, and for good reason. The efficiency savings gained from double glazing are very significant and can save you a lot of money on your energy bills. However, possibly the most important reason for donning double glazing is the reduced impact they have on the environment. By making your house more energy efficient, and therefore using less power to heat it, you’re reducing your carbon footprint. It’s important to explain how double glazing works in order to fully understand its benefits. Double-glazed windows have two sheets of glass with a gap in between. This gap, which can sometimes be filled with gas, creates an insulating barrier which slows down heat trying to escape your house. The efficiency rating of double glazes window varies, but luckily there’s the BFRC rating to show the efficiency of different windows. The BFRC rate the efficiency of the whole window, and some window manufacturers also show the energy efficiency of their windows on a scale of A to G.
Double glazing also varies in terms of the materials used. Broadly speaking, there are three types of materials used for the frames: UPVC, wood, and aluminium. UPVC is the most thermally efficient, but might not fit with the aesthetic of your house as they normally come in white. Wood, however, might fit in better with your house, but it requires more maintenance and can swell. Aluminium is hardwearing, but again might not fit with the aesthetic of your house. It’s also the least thermally efficient. The Energy Saving Trust endorses double glazing as a means of saving energy and outline a number of things you should look for. It highlights three areas which are important when buying double glazing. The first of these is the glass used. Low-emissivity (Low-E) glass is the most efficient and works by having an invisible coating of metal oxide on one of the internal panes. This means heat and light are easily allowed in, but heat can less easily escape. The second thing is to do with the gaps between the panes of glass. More efficient double glazing will fill the gap between the panes of glass with a gas such as argon, xenon, or krypton. The final thing to look out for is pane spacers. These keep the panes of glass apart, and for maximum efficiency, you should look for pane spacers containing little or no metal. All of this has a big impact on the environment. Not only does double glazing improve the energy efficiency of your home, and therefore require less energy to heat it and keep it warm, they are also often highly recyclable. uPVC and aluminium frames are both highly recyclable, and wooden frames have an even lower environmental impact because of the manufacturing process involved. So for a great way to move towards a greener and more energy efficient home, install double glazing in your home and reap the benefits of greener, cheaper living! If you enjoyed this article, we’d love you to share it on Facebook or Twitter! 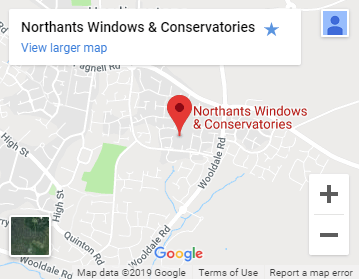 For more information on our double glazing, please visit our double glazing page or get in touch!